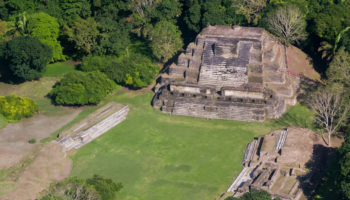 Once known as British Honduras, Belize is a beautiful nation in Central America. 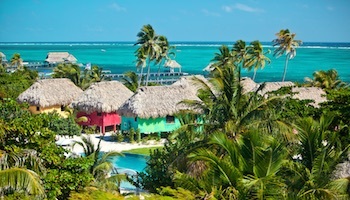 With a long coastline on the Caribbean Sea, Belize is well known for its stunning beaches. 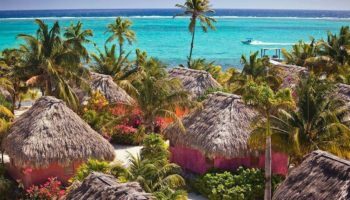 There are islands like Ambergris Caye as well as coastal resorts with plenty of appeal, so you’ll have lots of choices for your next trip. Best of all, Belize’s beaches offer a range of activities that you can enjoy. From relaxing on the sandy shores with a cocktail to scuba diving at great depths, there truly is something for everyone. Take a closer look at the best beaches in Belize to find the top picks for you. On the coast of Southern Belize, overlooking the waters of Commerce Bight, is Hopkins Village Beach. 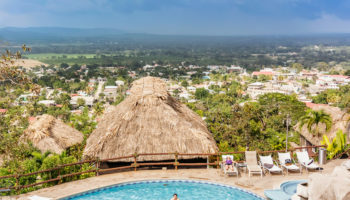 The beach is in the culturally interesting Garífuna village of Hopkins, and it boasts a five-mile stretch of white, sandy coastline. Along the beach, you can stroll along the sand and spot colorful local homes or stop under a palm tree for some shade. You can also watch local residents playing dominoes by the water or participate in a traditional drumming class. There is also plenty of tasty Garífuna cuisine available, including the delicious fish served in coconut stew known as hudut. 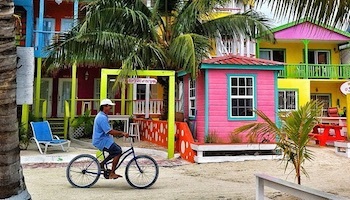 Caye Caulker is a small barrier island just a mile from Belize’s barrier reef. The isle is known for its affordability and laid-back atmosphere, and it is home to plenty of fascinating and fun attractions. One of the best is known as The Split. A hurricane in 1961 created this split, a rift that now offers amazingly clear water and the perfect place to swim. Best of all, The Split is lined with bars and restaurants, making it one of the most popular places to hang out on the island of Caye Caulker. Not far off the coast from Belize City is Goff’s Caye, a small but sandy island with a lot to offer. At first glance, it is easy to see the appeal. Goff’s Caye boasts clear blue and green water and perfect white-sand beaches. 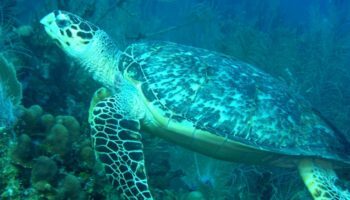 Offshore, the coral reefs are home to an abundance of colorful fish and plenty of sea turtles. 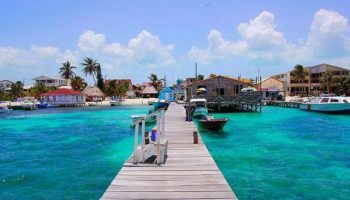 While you can rent snorkeling or diving equipment on Goff’s Caye, it’s cheaper to bring along your own or rent them in Belize City. There isn’t any accommodation on the island, but there are a few places where you can buy snacks and drinks for your day trip. 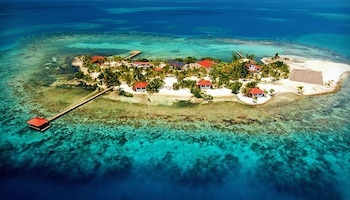 South Water Caye is an island found within the largest marine reserve in Belize. It’s also located just above the barrier reef, making it yet another excellent spot to go snorkeling or scuba diving. In recent years, the beaches of South Water Caye were voted as some of the best in the entire world. There are two major resorts on the island, but you can also visit on a day excursion from the mainland. South Water Caye is also a marine research facility thanks to the abundance of species that can be found right off the coast. Ambergris Caye is the largest barrier island in Belize, as well as the most popular. Most visitors head to the northern part of the island, which is where you’ll find the nicest coral sand beaches. Most beaches on Ambergris are narrow and the sea immediately offshore has a lot of seagrass, so you’ll usually need to walk to the end of a dock if you want to swim. The town of San Pedro is a bustling and colorful spot, but the real fun happens on the coast. You can take a boat tour, go snorkeling or even try fly fishing. If you’re looking for as much underwater life as possible, head out for three miles to get to the stunning Hol Chan Marine Reserve, which is home to an incredible array of marine species. The peninsula of Placencia is home to the longest stretch of public beach in all of Belize. The beach itself stretches across three entire villages: Seine Bight, Maya Beach and Placencia Village. If you’re looking for something quieter and a little more secluded, head to Seine Bight. If you want access to great restaurants, bars and shops, then the beaches at Placencia Village are always bustling and exciting. Diving and snorkeling at nearby cayes are incredibly popular, allowing you to see reef sharks and dolphins. You can also try some kayaking or go on a fishing trip to reel in some grouper, tarpon or bonefish. Just 16 km (10 miles) off the coast of Dangriga is the small island of Tobacco Caye. Although it is only three acres in size you can choose from 6 different small and modest lodges in which to relax on a hammock and watch the ferries come in and out. A popular pastime is to swim around the entire island, a definite workout but not an overwhelming challenge for most strong swimmers. Spend your day reading, snorkeling, kayaking, fishing or just enjoying the few but fantastic local restaurants on the island. One of the most visually stunning beaches in Belize is Half Moon Caye. Just like the name suggests, this island is shaped like a crescent moon. This is a virtually untouched island, freeing you from the mainland’s tourist attractions. 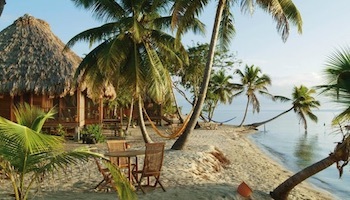 Half Moon Caye is partially a white sand beach with a handful of palm trees. It’s also a protected nesting site for turtles. 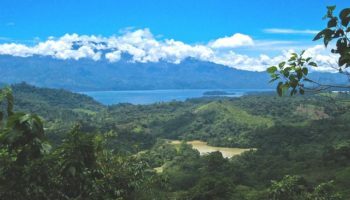 The other half of the island is a coastal forest, and you can freely explore the lush greenery when you’re done swimming or relaxing on the sand. Don’t miss the spectacular observation tower that puts you above the forest canopy and offers amazing views of the entire island. 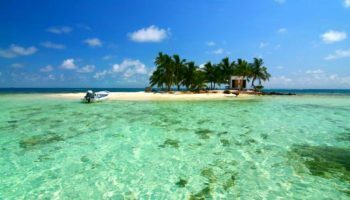 Laughingbird Caye is another island off the coast of Placencia that makes for an unforgettable day trip. Without hotels and infrastructure, the island is a true tropical paradise. 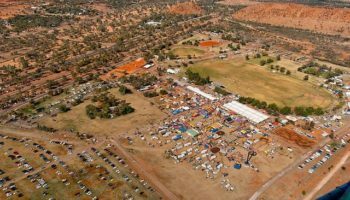 If you’re after sandy beaches, beautiful water, plenty of palm trees and a natural, undeveloped atmosphere, then this is the ideal destination. Plus, Laughingbird Caye is the perfect spot to access the rich underwater life in the region. Most guided boat tours heading out to Laughingbird Caye offer snorkeling or scuba diving along the way. The island is also a popular spot for birdwatching in Belize. Off the coast of Placencia is tiny Silk Caye. This national park is a protected area that is a top pick for snorkeling and scuba diving. Right off the coast of Silk Caye, you can spot a wide range of coral types, grouper, turtles and hammerhead sharks. Head slightly further out to the barrier reef, and you might even spot the famed gentle whale shark. Back on dry land, you can unwind on sugar sand beaches or spot stingrays as they swim by in the clear blue water. The best way to see Silk Caye is on a guided boat tour from Placencia for the day.